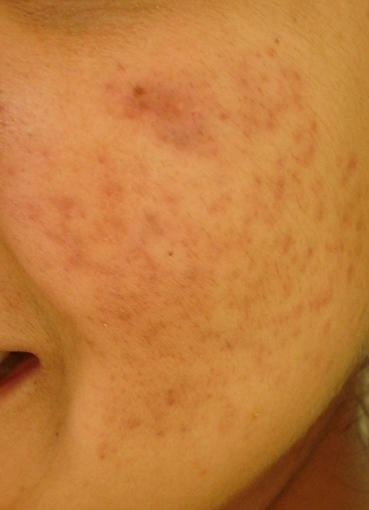 are these acne ascars or red marks?? i am not 100% clear yet but im on my way. i have three months following step by step DAns regimen n it has been working great. But now that the acne is clearing up i can see marks n i think scars on my cheeks it makes me pretty somber.. jst when u think ur almost clear the scar moster does not leave u alone..
are these scars of is it hyperpigmentation?? if they are scars what are they call n how can i fix it!! ?? 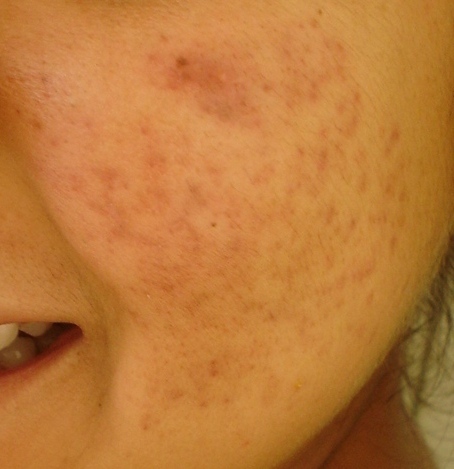 Looks like mostly hyperpigmentation to me with a few shallow scars here and there. Once the red marks fade, I think you'll look just fine.